With the New Year came the new exhibition season and InstaFloor has been making the most of these opportunities to network with potential new clients and spend quality time with existing customers. 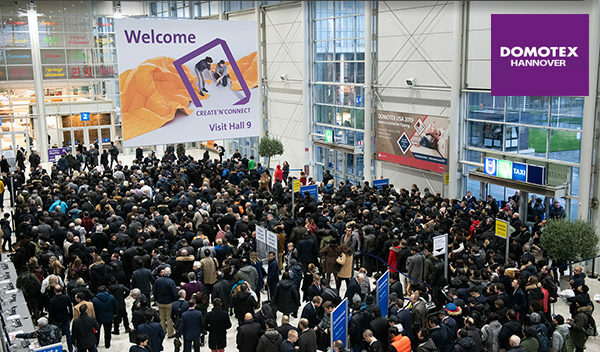 First was Domotex, the international flooring show held in Hanover, which was attended by over 40,000 visitors from 87 different countries. This gave us the chance to discuss our plans for InstaLay with customers and obtain their valuable feedback regarding future developments. At Domotex, as at other flooring shows, it was clear that the flooring industry is going in the direction of loose laid products and self-adhesive installation systems. InstaFloor is at the forefront of these technologies with its acoustic recycled rubber crumb installation systems and its considerable technical experience with these types of flooring solutions. After Domotex we headed for Munich and the major trade show, Bau, which proved beneficial, while in America InstaFloor NA again took a suite at a nearby hotel during the Surfaces show in Las Vegas. Here the IFNA team held a series of great discussions with current customers and potential new customers about the future of its InstaLay and CLL (Corques Liquid Lino) products. Also, some important national and international connections were established to complete another successful Surfaces and begin what looks to be a bright and promising 2019.